Object animation refers to the use of regular inanimate objects in stop-motion animation, as opposed to specially created items. Object animation is the earliest form of stop-motion animation, and involves photographing an object and moving it a tiny bit, and then photographing it again. Although this is very time-consuming, it’s also one of the easiest forms of stop-motion, although it quickly becomes complex when you’re dealing with multiple objects and trying create unique events for each different object. One of the pioneers of object animation was Emile Cohl,he was not the first person to use stop-motion animation but the influence which he has had on the shape of stop-motion animation is invaluable, , One of the reasons object animation took off animation was down to the huge success of the film "The Haunted Hotel", released by Vitagraph and directed by J. Stuart Blackton. It premièred in Paris in April 1907 and immediately there was a demand for more films using its incredible object animation techniques. Before Cohl's work, object animation was used only as a novelty in "trick" films, such as those done by George Melies and J. Stuart Blackton where object animation was used for animating the letters in the title of the film. Cohl was greatly inspired by J Stuart blackton and it was said that Cohl studied his films frame by frame to discover how they were made. Cohl expanded the form so that an entire story could be told using animation,without him taking that extra step in creating entire films using stop motion animation we may not recognize the technique as the art form which it is today. 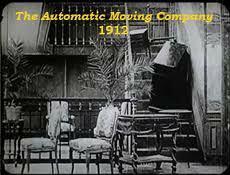 Emile Cohl impressed audiences with his object animation “the automatic moving company”in 1910, the target audience was adults because this early example was made to impress although i'm sure children of the time would have also appreciated it. The film begins with some unseen persons opening a letter and learning about a family that needs there furniture moved. Instead of seeing the movers, the belongings seem to move themselves and decorate the new apartment The automatic moving company is one of the most technically accomplished early stop-motion films known. The task of moving bureaus and dressers fractions of inches, photographing,moving again then photographing again at 24 shots per second of film must have been a very slow and painstaking process. Once the film is run, the objects appear to move on their own. It's a little crude, but very effective and amazing for the era. 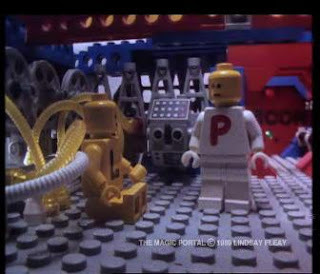 a modern example of stop motion animation is the brick film Aimed at a universal audience. The brick film was recently made popular by the availability of cheap cameras and animation software and the growth of video sharing sites such as you tube The brick film uses animated Lego or other similar plastic construction toys. The Lego is brought to life by moving each piece/character slightly between frames. The advantages of using Lego for object animation is that your characters are ready made, stable and easy to move without worrying about them breaking or smudging (like clay). You also have the makings for the sets with the right scale. The characters stay in position thanks to the use of a plug board surface. The main role of the brick film is for entertainment purposes and is a popular medium for the amateur animator because the Lego is ready made and ready to use. Brick films are often used now to help the Lego group advertise each new series. These advertisements for toys are targeted at children. I have included another modern example of object animation because I think it is relevant to the points I want to make about the appropriate use of the object animation technique. 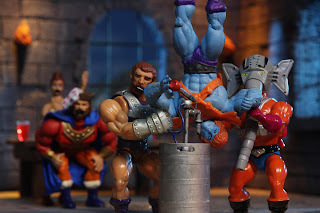 this animation “ robot chicken” combines object animation with other variations of stop motion animation and is targeted at pre-teen children, the reason I have included it as an example is because I think object animation works better when combined with other animation. With object animation you are limited to animating simple objects but when combined with another type of stop-motion more character Is added to the animation for example a toy car can easily be animated and would be classed as object animation but when a puppet is animated driving the car this gives the object animation more life to it that is why I object animation works so well with other animation techniques. when I first watched the film the automatic moving company I couldn't help but feel a little disappointed with the general atmosphere of the film. I always thought that one of the roles of animation was to give life to objects being animated and although the furniture moved around I thought it failed to do that. The early and current examples were both intended for entertainment purposes but I thought the automatic moving company lacked a certain magic that was recognisable in the modern object animations. I thought that the reason for this was probably down to the advances in technology and the quality that comes with it. There is probably about 100 years between the early and current animations and the poor quality of the early film contrasts noticeably with the polished technical aspects of the modern movies. There is also the fact that modern animation has colour. whereas the older animation did not have this option. Its surprising that a simple detail such as colour could change a viewers perspective and I think this would have added to the character of the early animation . I think that back in 1910 the film would have been appreciated more and was really advanced for its time but I think in the modern day very few people would appreciate the work that went into making it. I think that object animation is very basic as far as stop-motion animation goes, so I think to make it into something spectacular it is best to mix it with other forms of animation such as puppet animation, for example a toy car can be animated but it has a greater effect when a stop-motion puppet appears to be driving the car. I also think that object animation is appropriate for magic sequences in films where objects need to move as if by magic.